How do I Buy Ghana Gold? Purchasing bullion in Canada is no different, in general, from purchasing it in most other parts of the world. 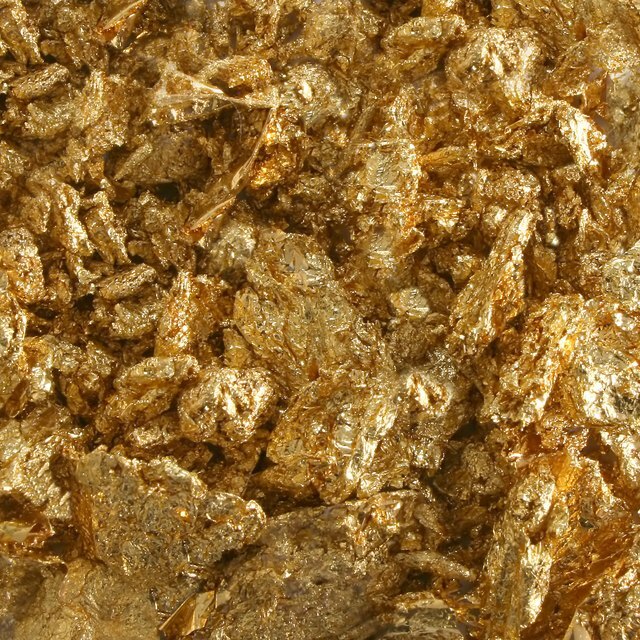 Canadian gold is produced and sold in units from the government, gold dealers, private parties, and even recovery outfits. However, the major difference between sources tends to be how much of a premium you pay over the spot price of gold, depending on your source. Additionally, the added costs of postage and insurance for delivery can increase the price needed to be reached to make a profit as an investment over time. For instance, if you buy a 1/10 oz. gold coin for $100, but it costs you an additional $10 to ship and insure delivery, then your true cost is $110. You must wait for the value of gold to rise enough that it exceeds $110 for 1/10 of a gold ounce to start making a profit on your coin investment. Different types of gold bullion are available to the Canadian consumer and collector. First and foremost are the government-issued coin units produced and distributed by the Royal Canadian Mint (RCM). These coins, better known as the Gold Maple Leaf coins, represent the country’s official gold bullion coin. This type of bullion is similar to the U.S. gold eagle, the Chinese panda coin, and the South African Kruggerand. The Canadian Maple Leaf is not restricted to only Canadian buyers; anybody with sufficient funds can buy these gold coins. Unlike the U.S. Mint, however, the RCM does not sell directly to the general public, either Canadian or foreign. Instead, RCM products are distributed through banks and dealers. For buyers in the United States who cannot travel to Canada but wish to buy Canadian bullion, the only restrictions are generally supply and demand. Many Canadian banks and coin dealers carry Canadian bullion products, and they can be bought outright on eBay or other auction websites. Can I Buy Gold Bars at My Bank? The Canadian bullion coin may be worth slightly more than some of its international counterparts. Canada produces a coin of 99.9 percent (24 karats) pure gold without any stronger metals mixed in for strength. Since the bullion coin is not circulated in Canada as currency, there is no need for harder material. The coins come in varying sizes and values. The range from 1/20 ounce to 1 full ounce of gold and are valued accordingly versus the market spot price of gold. Coins are not the only bullion available. The Canadian government also produces gold bullion in the form of gold kilo bars, gold wafers, and gold trade bars. Similar to the bullion coins, all gold products from the Canadian Mint are the same gold quality amount (i.e., the same purity level of 99.99 percent or 24 karat gold), and each is printed with an official stamp for authenticity. Any other types of gold bullion in Canada are either produced by private parties and corporate mints or are imported into Canada from international sources. Again, the first and foremost provider of bullion is the Canadian government. Similar to the U.S. Mint, the Royal Canadian Mint (RCM) issues bullion coins and products, which can be purchased by public and private parties through distribution banks and dealers. The items are sold at a value that combines the spot price with a premium. The mint itself does not produce just gold coins. It is the production source for every Canadian government coin in circulation. Other countries even commission the Canadian mint to produce coinage for them as well. The mint's product range includes all the precious metal bullions, as well as various commemorative jewelry items. On the private side, gold collectors can purchase via the Internet in Canada through GoldMoney (www.goldmoney.com). Through this method buyers don’t actually receive and possess the gold bullion. Instead, the gold is stored in secured company storage in two locations: Zurich, Switzerland, and London. With a purchase buyers receive a standing title in their name; when they decide to sell the gold, cash is returned to them for the current value. Kitco Metals (www.kitco.com ) has an ongoing readership of 10 million hits regularly and covers the gold market extensively. The Kitco website provides gold market real-time tracking, a library and a running news section of reports and articles on gold investing, and discussion areas on precious metal markets. Additionally, Kitco sells gold in bullion bars and coins outright and also as a title service similar to GoldMoney. So, in effect, buyers have two options of purchasing bullion with Kitco. Both are secure and Kitco’s premiums are probably the lowest in the industry in comparison to other private dealers. However, that said, shipping adds cost to bullion purchases. Kitco distributes from two locations, one in Canada and one in the United States. Colonial Acres (www.colonialacres.com), based in Kitchener, Ontario, is a small operation that manages to maintain a full stock of bullion for orders. This avoids back orders and delays, which can sometimes plague other dealers. Colonial Acres is also consistent about updating information on available stock via regular email notices. Finally, eBay sellers are constantly selling and buying bullion on auctions. All that is needed is an eBay account to bid, and a Paypal account (www.paypal.com) for transacting payment from the buyer's bank account or credit card. Sellers are not allowed to ask for any other kind of payment for gold due to eBay rules. Most eBay bullion auctions are for coins, with very little in bars or other gold formats aside from jewelry. Keep in mind that when you have bullion delivered to you directly, you pay three costs: a premium for the dealer’s profit, a postage expense, and very likely an insurance cost in case the coin or gold gets lost in delivery. All of these add to your expense, which means that the spot price has to rise that much more before you start to make a profit on your bullion investment. That said, buying bullion in general is still cheaper in the United States than it is in Canada, so you need to shop around for better deals and spend your money wisely. The reason for the price difference between countries has to do with regional taxes within Canada. Ontario is the most notable, imposing a sales tax as high as $80 Canadian Dollars on the sale of 1 ounce of gold. Thus many gold buyers have their items shipped rather than purchase in tax-affected regions. Most counties in the United States also charge sales tax; however, due to interstate commerce protection, sales to outside buyers are not charged sales tax at all. This is a unique and old feature within U.S. commerce law designed to protect the growth of business between states and internationally. Finally, buying from private parties versus dealers or government mints is probably the riskiest way of purchasing bullion. Aside from an auction site feedback and some nominal purchase guarantee, you are handing your payment to an unknown party with no sure bet that you will get your coin that was won. Keep in mind that when you have bullion delivered to you directly, you pay three costs: a premium for the dealer's profit, a postage expense, and very likely an insurance cost in case the coin or gold gets lost in delivery. All of these add to your expense, which means that the spot price has to rise that much more before you start to make a profit on your bullion investment. That said, buying bullion in general is still cheaper in the United States than it is in Canada, so you need to shop around for better deals and spend your money wisely.